View our online website portfolio today! Advertising your business through various media such as printed media, radio and television is extremely expensive! The initial cost of a website might seem to be expensive just to have an online presence, however it is so worth it. 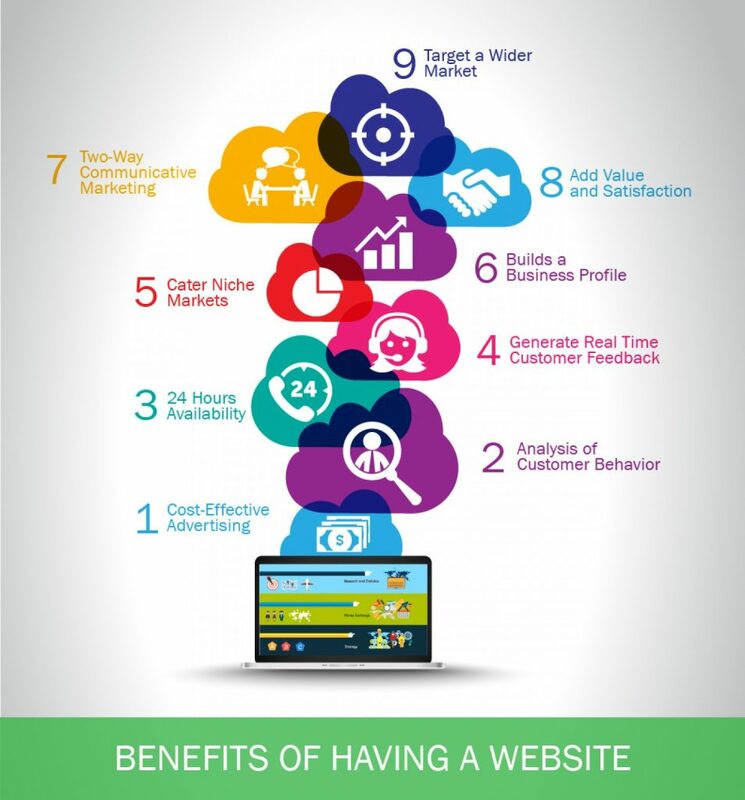 The benefits exceed the price and having a website is most probably one of the most successful tools to promote and expand your company. No more printing of brochures and struggling to get the word about your company out there. A website serves as an online brochure where your potential client can read more about your company. Your potential customer will gain more knowledge about your company and the services / products you offer on your website than what they would on a small printed brochure/flyer. Through having a website you will save on distribution and printing costs. 50.8% of the world’s populations makes use of the Internet. The online target market is gigantic making it possible to target potential client locally or worldwide. Through having a website you can influence viewer’s decisions on purchasing your product immediately when having an online store or even just educate them through providing information about your product. Your website runs 24 hours, 7 days a week without any supervision. While your website is promoting itself, you can focus on other important factors to grow your website. Through owning a user-friendly, well-structured and professional website, a statement of legitimacy establishes confidence in your business. Without a website, it will look like your company is too small or too new to trust. Consumers doubt your credibility when they go online to read more about your company and they cannot find a website. Research shows that 97% of consumers look online for a company’s website to find out more or to contact them. Looking for a new website? We’re Happy to Help!